Last summer I visited my best friend in Wisconsin during the middle of the drought. 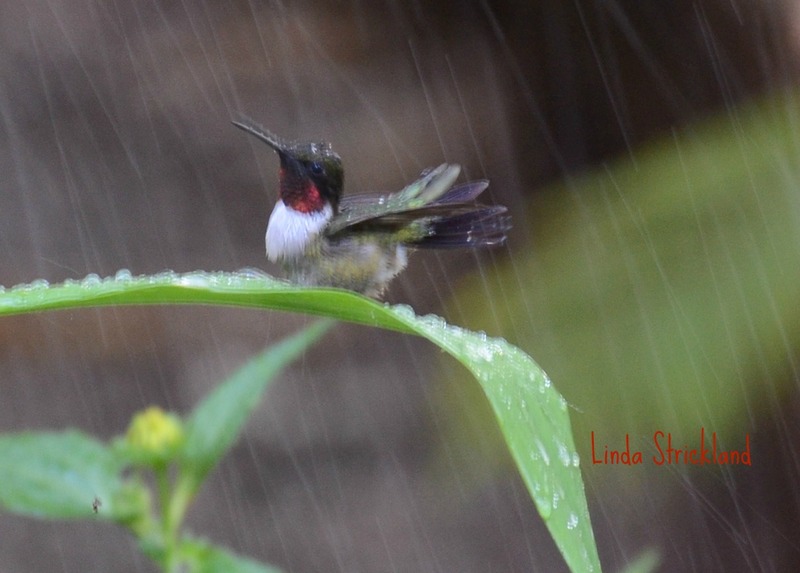 Both of us are nature photographers, and we love hummingbirds. We went many places for photographs, but the best stuff was in her back yard! When she turned on her sprinkler to water the parched plants, the birds came from the trees and started dancing inside the plants! It was such a treat to watch. 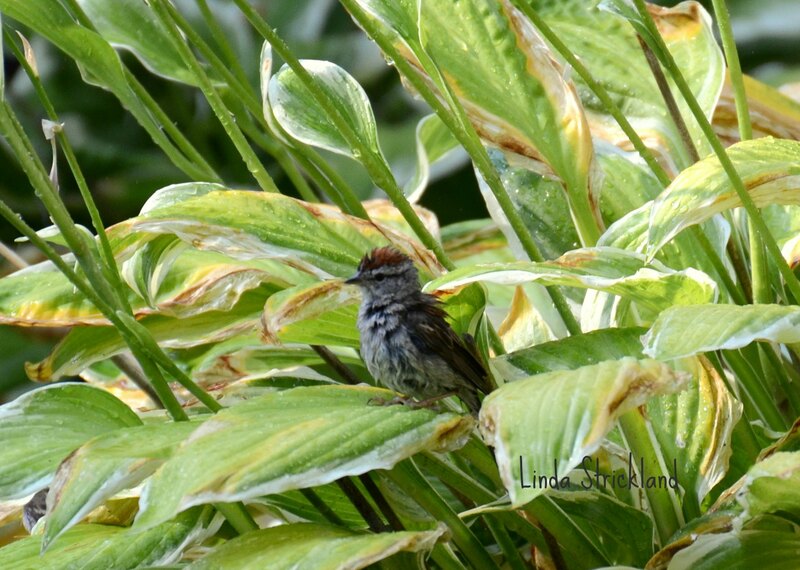 I caught a little sparrow in a hosta and a hummingbird on a blade of long grass, just turning around and fluffing itself up! Getting every last drop of water on every inch of his little body. He was in heaven and so was I. It reminded me of just being in the moment and taking advantage of what’s offered to you, in this case, the garden hose! And just enjoying it. A simple pleasure for me and for the birds. Water! Everyday holds little miracles like these. I pray that you can just be in the moment and notice these beautiful little gifts. You will be so richly blessed. Thank you Sonel. And yes, life is precious, that’s exactly what I was trying to say.